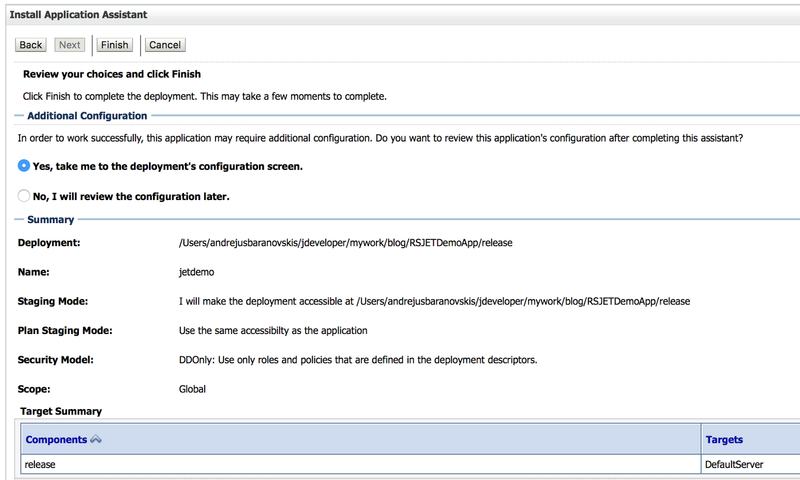 It passed almost two years since my previous post about Oracle Java Cloud and ADF - End-To-End ADF Cloud Deployment Process. There is huge improvement in Oracle Cloud, great progress done in these two years by Oracle. 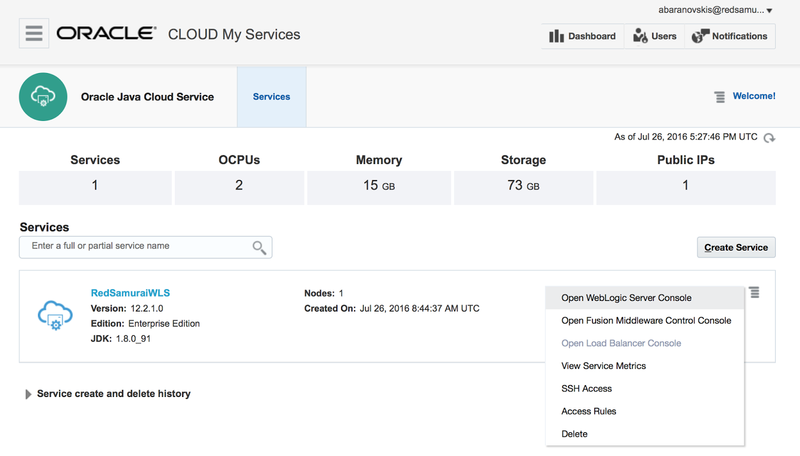 Access and management of Oracle Cloud environment is so smooth now, it is even hard to say you are working with your own on premise servers or cloud machines. 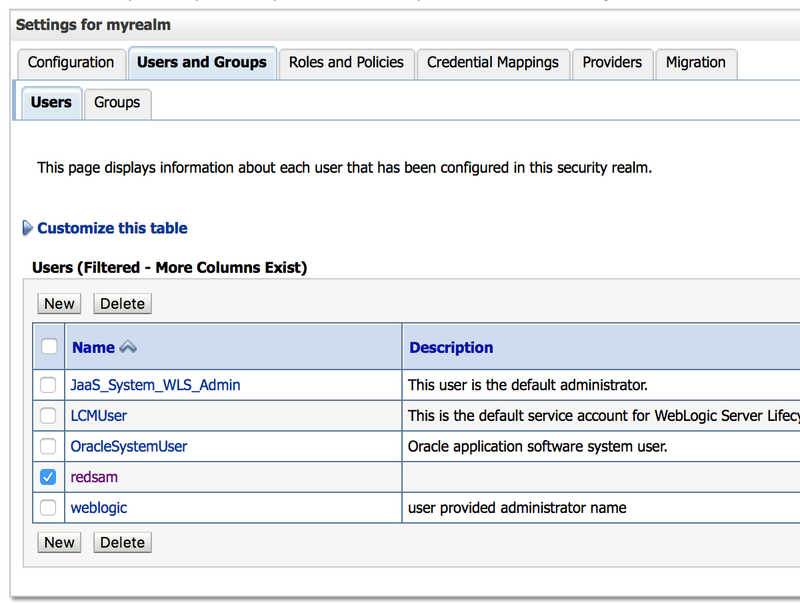 This is great, I'm impressed - well done Oracle. 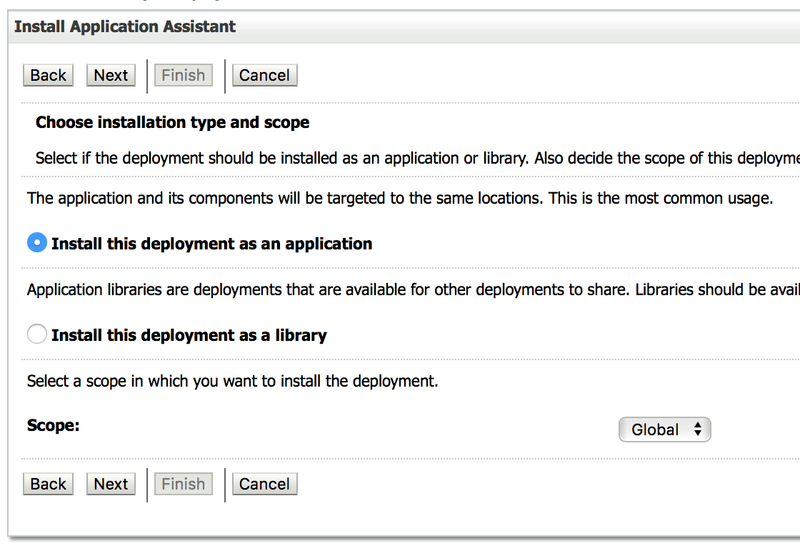 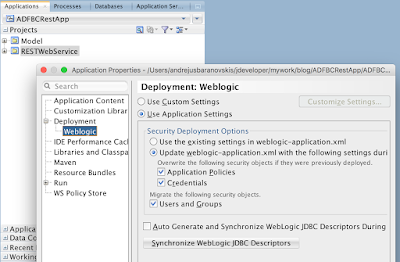 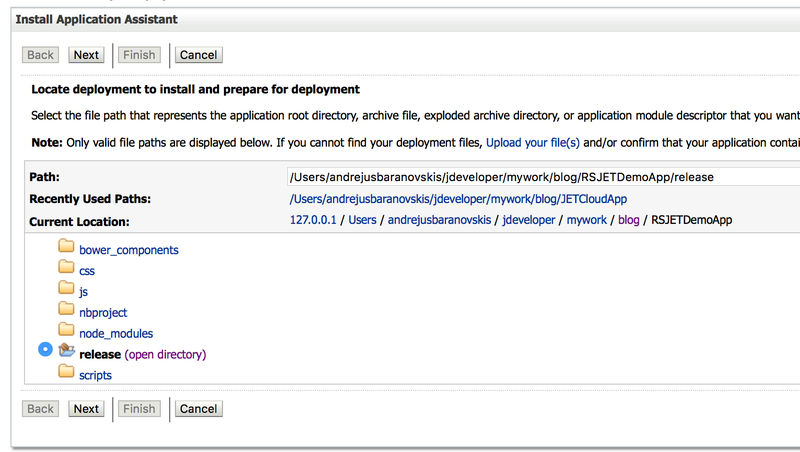 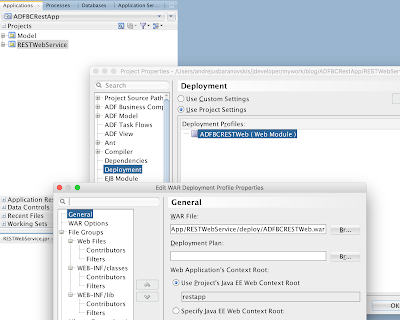 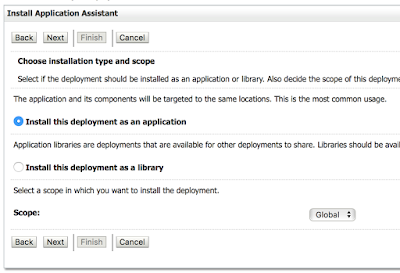 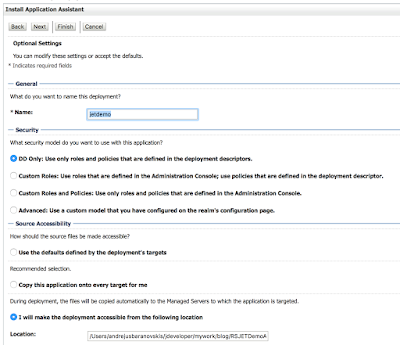 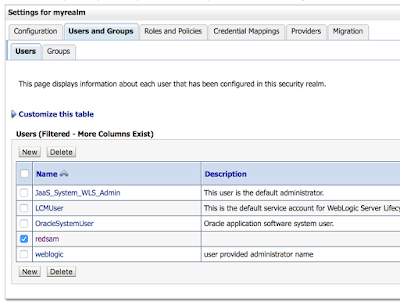 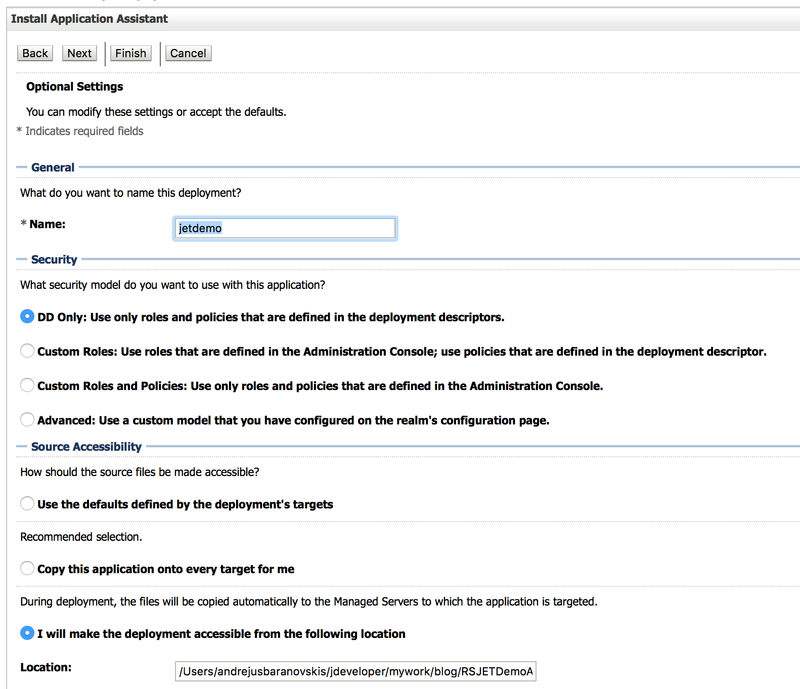 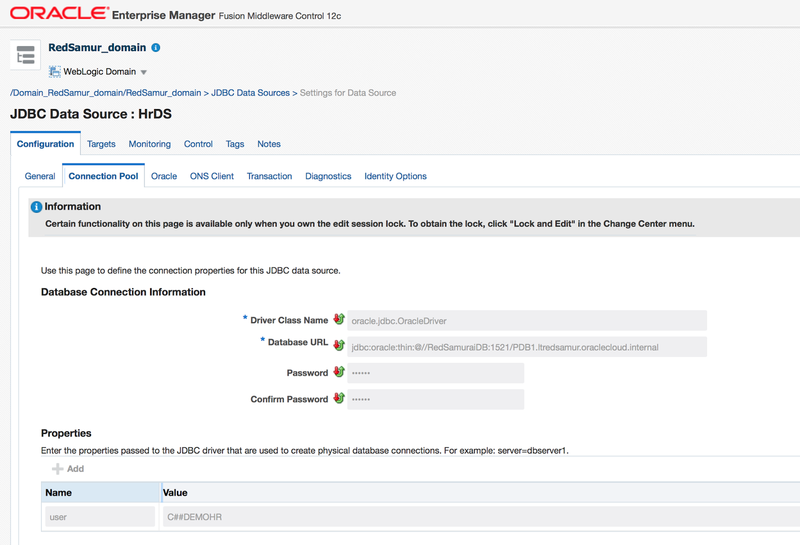 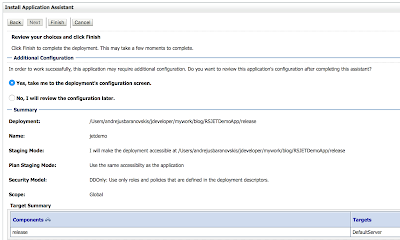 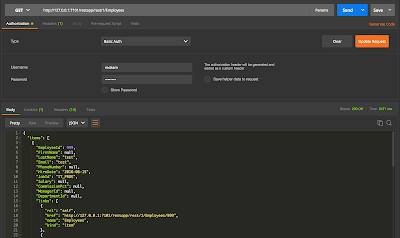 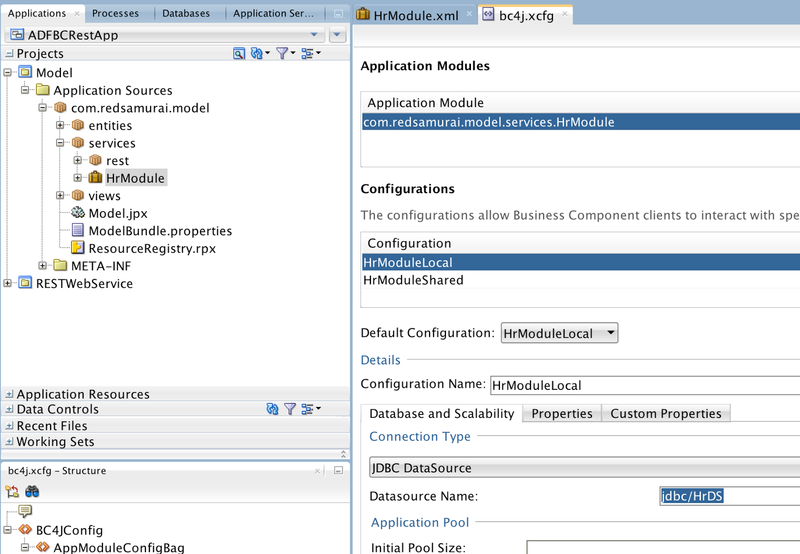 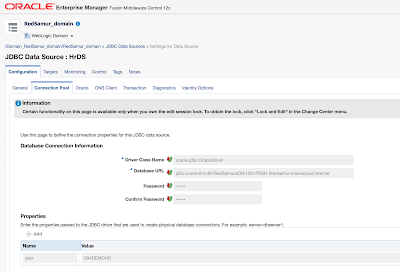 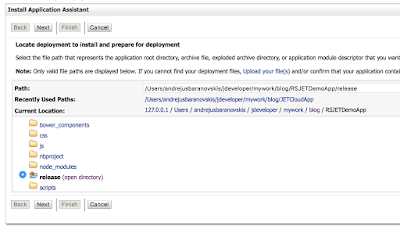 I have implemented ADF BC REST application with JDEV 12.2.1.0 and deployed it to Java Cloud. 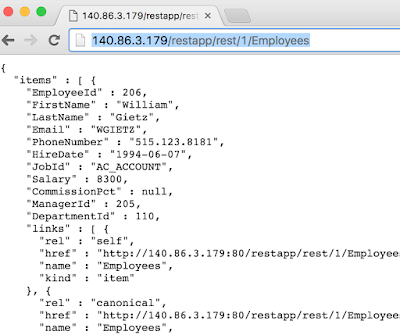 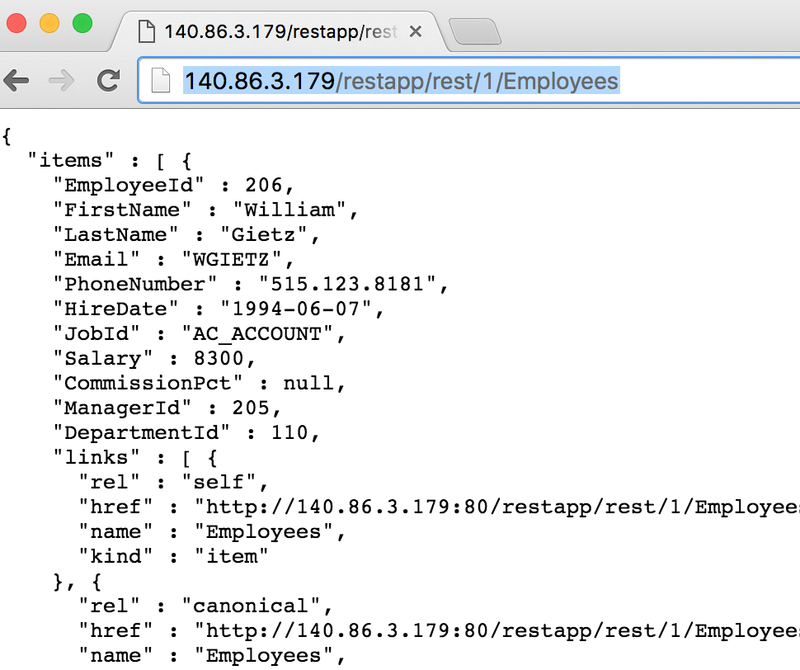 You can access REST service yourself from this URL: http://140.86.3.179/restapp/rest/1/Employees (username: redsam, password: welcome1). 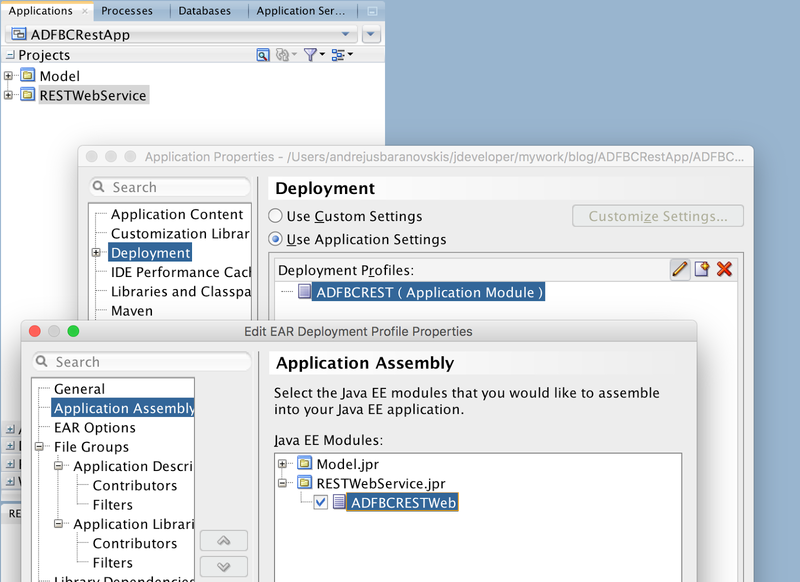 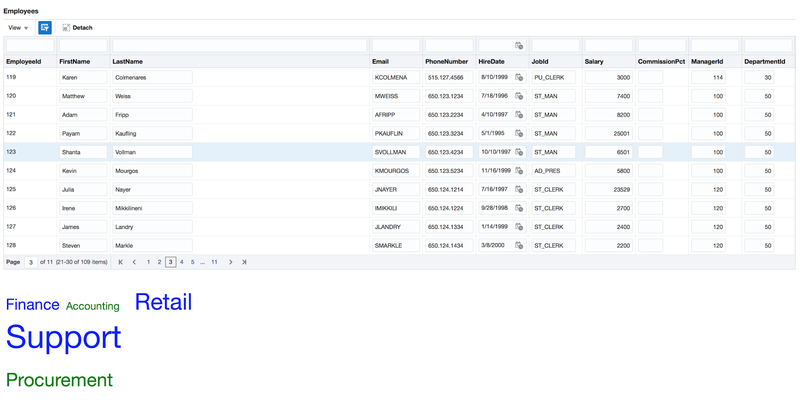 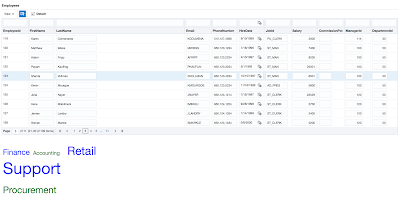 ADF applications deployed on Java Cloud will be fetching data from Database Cloud through data source. 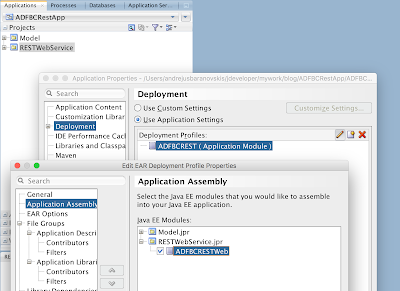 Download sample ADF BC REST application, the one I was using to deploy to Java Cloud - ADFBCRestApp_v9.zip. 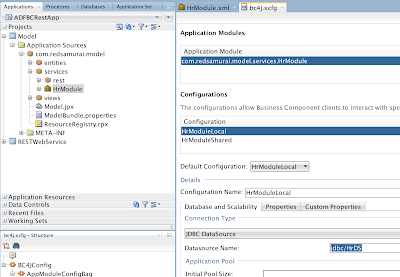 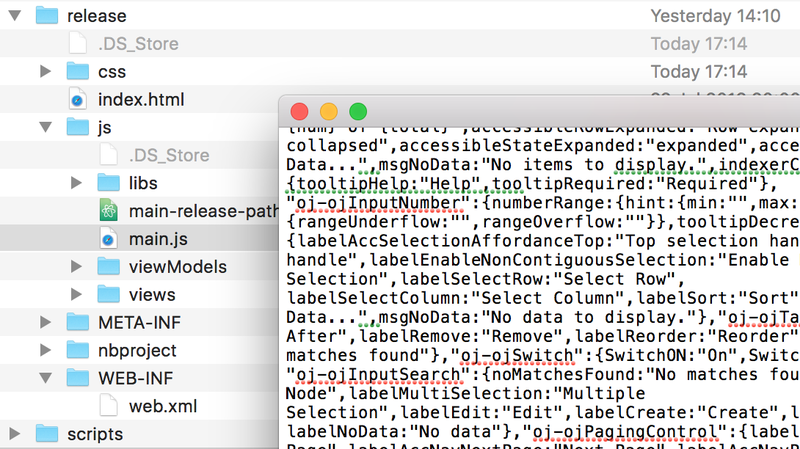 This post is based on JDEV 12.2.1.1, it seems like there is issue with ADF BC REST custom method definition in this release. 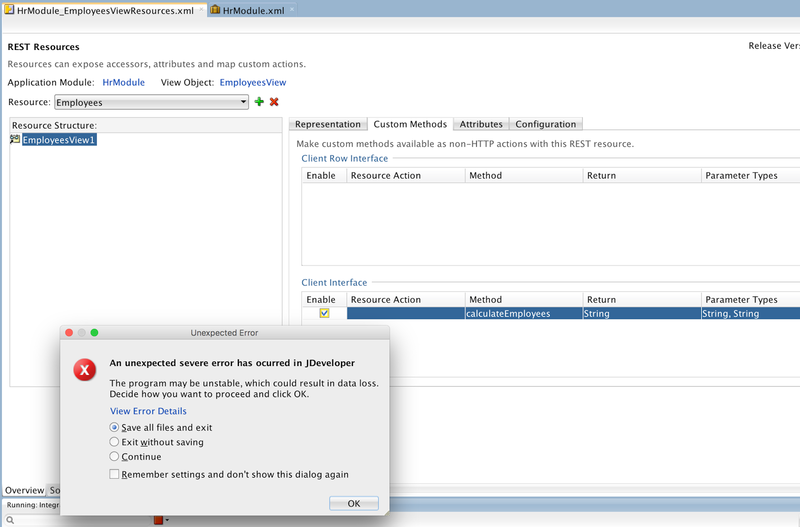 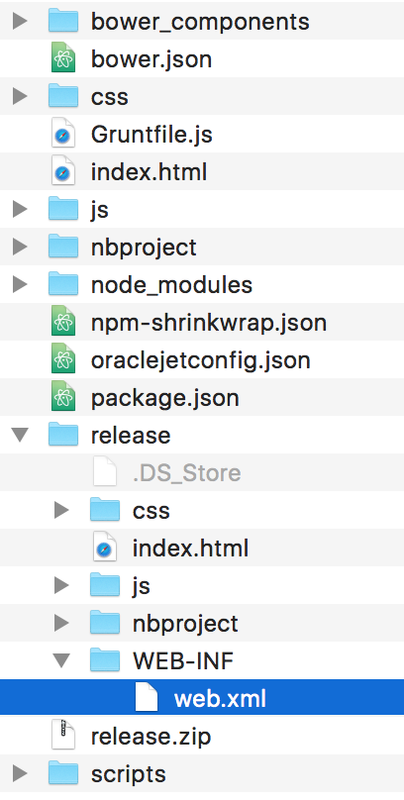 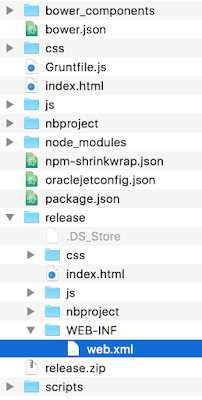 I'm glad it is not runtime issue, but related to design time JDEV wizard incorrect functionality. 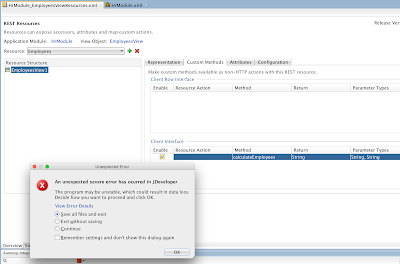 I will explain how to bypass it, when you want to expose custom REST method in 12.2.1.1. 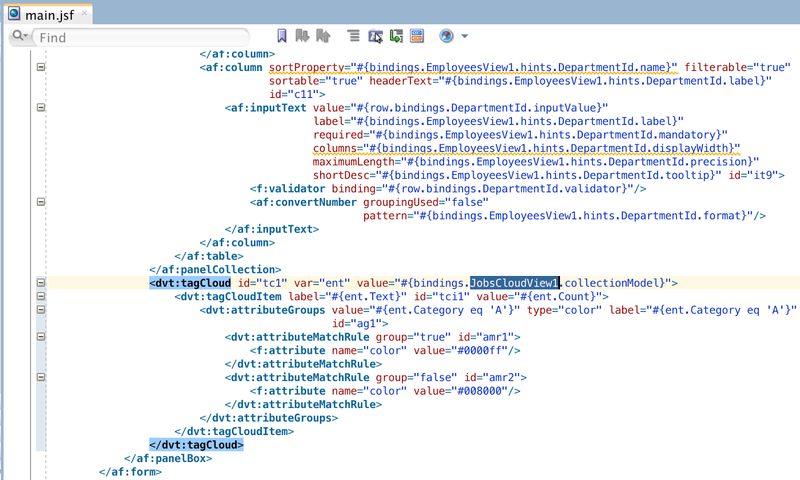 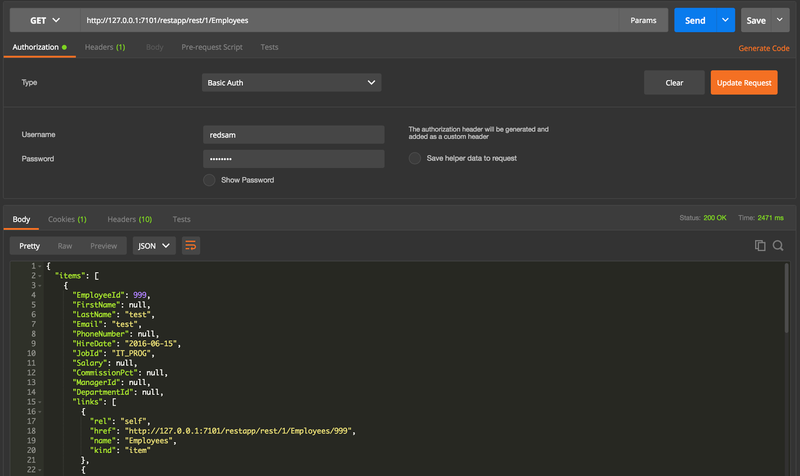 ADF 12.2.1.1 brings improved support for programmatic VO creation. 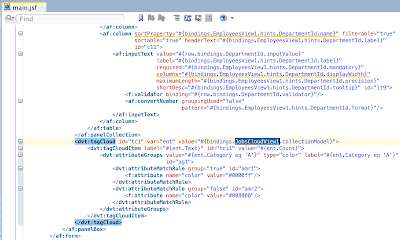 Such VO's are handy, when we want to base VO on alternative data source, such as PL/SQL ref cursor. 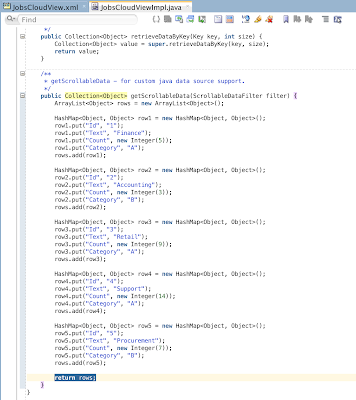 In ADF 12.2.1.1 developer don't need to worry which framework methods to override, now it is enough to extend from Programmatic View Object Implementation class. 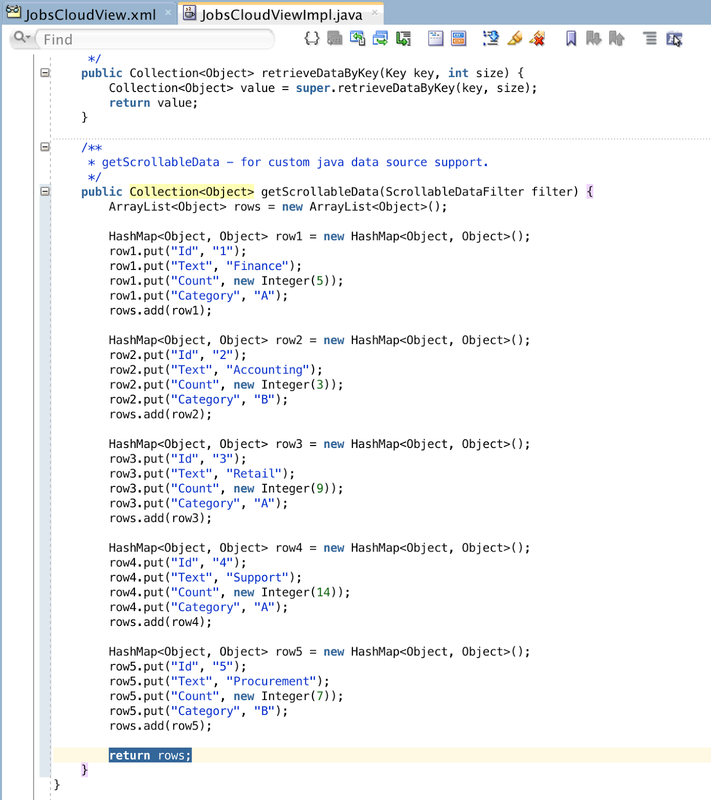 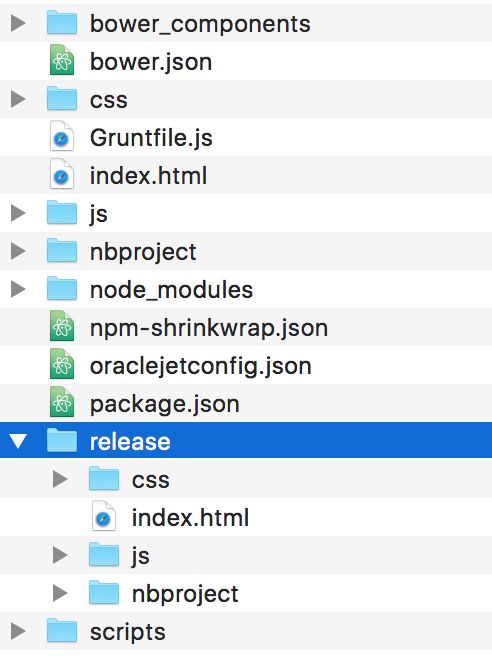 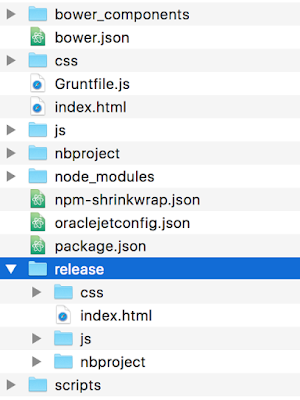 This is special framework helper class, designed for programmatic VO support. 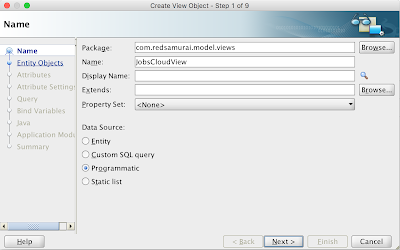 See example below. 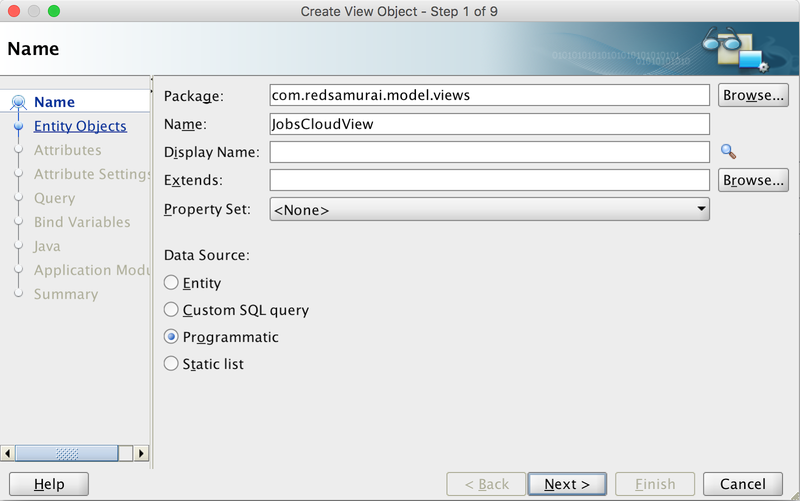 New framework class allows to work with programmatic VO's easier and leverage framework features. 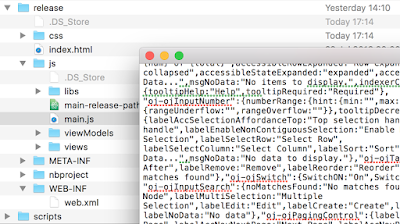 I would expect it would provide better support for programmatic VO data filtering.